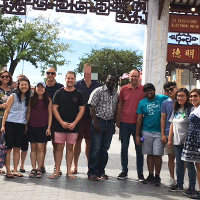 All full-time students at SMBC become part of an annual College mission team, lead by a member of faculty. 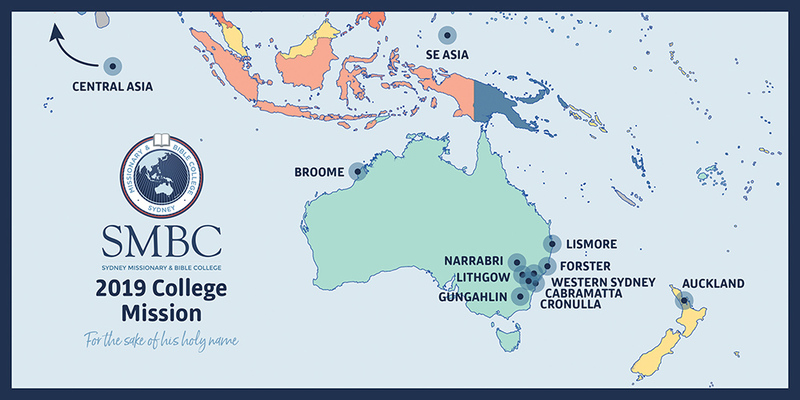 Mission teams travel to different parts of Australia as well as overseas. 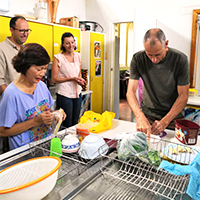 Missions within Australia are usually for one week, while overseas missions are usually three weeks in duration. 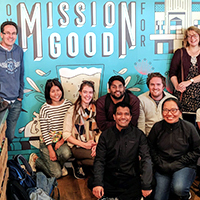 College mission is an important element of training; providing opportunities to put classroom learning into practice, to work within a team environment, and to develop spiritual gifts and abilities (see Graduate Attributes). 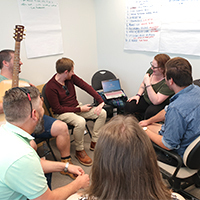 After mission, the teams continue to meet fortnightly during the year as College fellowship groups. 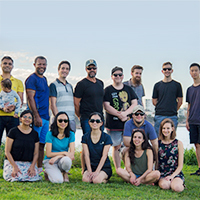 In 2019 we have teams partnering with: Cronulla Presbyterian, Cabramatta Baptist, Gungahlin Anglican, Lithgow/Portland Anglican, Coast Evangelical, Southern Cross Presbyterian Lismore, Narrabri Anglican, Broome Anglican, Howick Baptist Auckland, and working with OM in Western Sydney. We also have teams travelling to South East Asia and Central Asia. Just one week on our island and we’ve been travelling again! This main stop on our trip included visiting a variety of schools and programs and people. It was lovely to see team members in their element, as well as being stretched. We installed internet access to school buildings, taught English, shared at chapel services, went out to an island to share the Good News with an inspiring example good news sharer, shovelled mud from a flooded home, taught biology, ran a basketball clinic, ran a health clinic, performed a puppet show with some very Australian Old Testament characters, caught some unhappy tummy diseases, ate dinner around town, boosted the economy, bought crafts from women who lost everything in recent floods, played games with missionary kids, taught crochet, and piled 10 of us into cars! We also got to go on a beautiful walk and very much enjoyed God's creation here. This next part of our trip includes the ministry retreat for full time workers here, please pray for us in the next few days, that we would listen well and learn well from those we get to meet and look for opportunities to offer of ourselves and love them and their kids well. The team at Coast Evangelical Church, Forster gave us such a warm welcome as we joined them in ministry for the week. We served alongside them in a variety of events in the lead up to Easter, including: packing Easter gifts for women and children for the local women’s refuge; participated in and led Bible studies and home groups with youth and seniors; led a seminar on Psalms; were privileged to see ‘under the bonnet’ for their ministry model and strategy for loving and reaching 25,000 people for Jesus in Forster and the surrounding regions. We have had such an enriching experience and we’re so thankful to Coast EC family for hosting us! Give thanks for 10 years of Coast EV church. Pray for many to come to their Easter services and hear the good news of Jesus' death and resurrection this weekend. We wrapped up our final weekend of mission supporting a range of different ministries that included: ESL women’s Bible study on Friday morning; women’s devotion and craft group on Friday morning; youth group on Friday night; kids’ church on Sunday; men’s breakfast on Saturday morning; Joel preaching at Howick Baptist and Jack preaching at Papakura Baptist on Sunday. Some of us also got to spend the Saturday afternoon at Mission Bay for a quick scooter ride along the beach and some gelato! Praise the Lord for a great week in New Zealand at Howick Baptist Church. 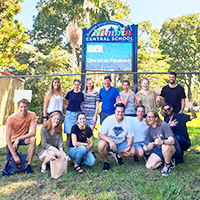 We came away with a greater understanding of ministry needs there and also a sense of encouragement of God at work at Howick Baptist in Auckland. Give thanks for the welcoming and hospitable community of Howick Baptist. Give thanks for faithful teaching of God’s word throughout the many ministries that we were able to attend. 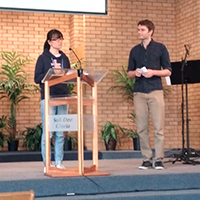 Give thanks for Peng sharing her testimony at church on Sunday. Pray for the Easter services coming up. Pray that the congregation will invite their friends along to hear the good news of Jesus. 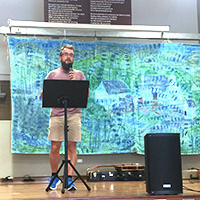 After learning more about ministry in Western Sydney in discussion with long term workers, we continued to give it a go ourselves. 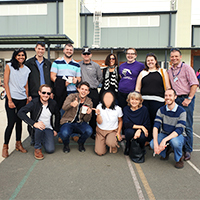 This included door-knocking, walk ups, ESL classes, driving lessons and being involved in a community cafe with talks from the Bible. 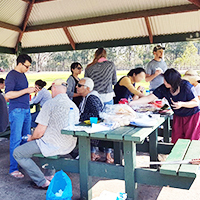 The picnic we had over the weekend was a great time to have fellowship with all team members and was also another wonderful opportunity to chat with locals. We have learnt that ministry requires being flexible and schedules are subject to change and so it is important to continue praying and be expectant for opportunities. Each day we shared devotion time together as a team and were reminded of God’s sovereignty and love, and to speak God’s word with great boldness despite setbacks. 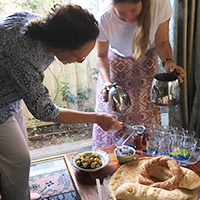 We have continued to enjoy many wonderful foods from the Middle Eastern culture, which has enhanced our experience, tastebuds and waistlines! 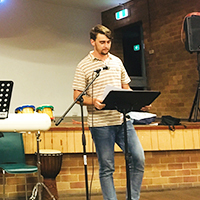 Give thanks for the local people that we have spoken with over the past week in Western Sydney and pray that God would continue to work in their hearts. Pray for the local churches and organisations working amongst the community as they continue to engage and serve the people long-term. Pray for team members who are unwell, including R, A and C and ask that God would heal them. Pray for new believers that they would continue growing in their faith and be deeply rooted in God’s Word. 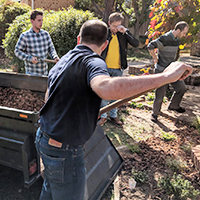 Ministry takes many forms - and that's how our mission took shape over the weekend. 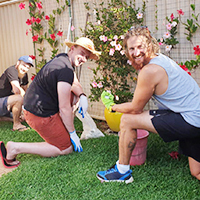 The team preached and ran kids church at Gungahlin Anglican's Sunday services, gave encouraging talks at the men's brekkie and women's afternoon tea, plus spent some time helping out with gardening and other renovations! Praise God for a week full of many opportunities to make Jesus known. 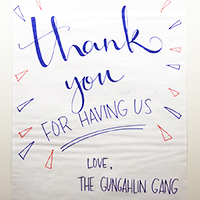 Give thanks for how generous and welcoming Gungahlin Anglican has been to us. We've been so encouraged by how God is at work through them. Give thanks that the Lord has gracious paved the way for all 22 of us (including three children) to arrive safely in Central Asia. Give thanks to God for bonding us as a team along the way. Give thanks to the Lord for the opportunity to see him at work here, despite our language barrier and weakness. Pray that God will strengthen the church here to know the teachings of our Lord Jesus and rely solely on him and his word in all aspects of their lives. Pray that God will bring Light and Hope to the sufferings of the people here. We were really thankful for a rest day on Thursday - to be able to reflect on how good God has been to us over our time in Canberra this week. 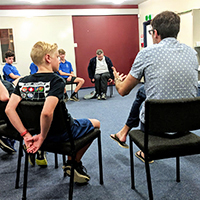 We have been connecting well with Gungahlin Anglican Church and each other, and really encouraged by how God is at work in this community. 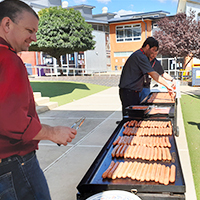 The team was hard at work yesterday at two Easter school services, setting up and hosting a BBQ lunch for the school. Give thanks to God for opportunities to rest during the week. Give thanks for energy and supporting each other through the big events yesterday. Pray for us to finish well as we wrap up with Sunday services tomorrow. Since last weekend we've met local Aboriginal believers, swum in croc waters and even eaten turtle! 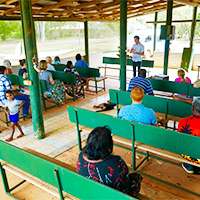 This week we've shared our testimonies and preached at a rural Aboriginal church; visited aged care homes; met rural pastors to hear their stories of hardship and the urgent needs of the gospel; acted out the story of Zacchaeus at a fellowship night; showed love to Aboriginal children in the community by playing games, telling Bible stories and providing them food. Praise God for his glorious work we have witnessed here. Pray that our team continue to bless the Aboriginal people we will meet in the last few days of mission. Pray for local Aboriginal believers who don't seem to be maturing in their faith, that their hearts would be like good soil resulting in ultimate allegiance to Christ. Pray for Broome Anglican Church as they continue to spread God's message of hope. Ask the Lord of the Harvest to continue sending workers into this gospel poor and less reached community, that many more may be saved from death to life in Jesus. 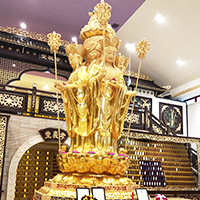 On Tuesday we visited a Buddhist temple and learnt about Buddhism. 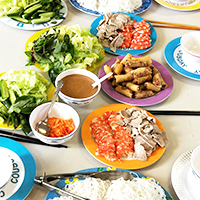 Then we had fun at a Vietnamese cooking class taught by Sarah, a lovely lady from the congregation. We have become experts in making springs rolls and Vietnamese rice paper rolls! On Wednesday morning, we visited Fairfield High School to observe SRE classes and met the wonderful teachers there. 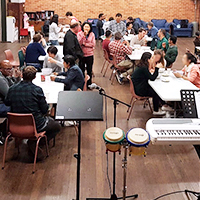 During the evening, we heard encouraging stories from three church members (from very different backgrounds) attending Cabramatta Baptist. Pray that Buddhists (including our tour guide, Louisa) would come to know the one true living God and turn from their false idols. 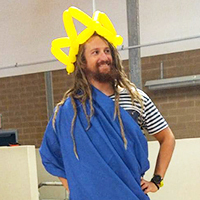 Praise God for the SRE classes in South West Sydney schools. Pray for SRE teachers - James, Linda and Chris - that they may not be discouraged by the lack of resources, but rather, be filled with joy that our loving father has opened doors for the message to be proclaimed. Pray that God would raise up more SRE teachers for the harvest is plentiful. 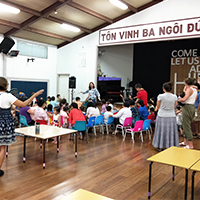 Pray for Pastor Tim, his wife Liz and their children as they care for the flock at Cabramatta Baptist. Pray for the preparation of events to come; ESL class, walk up evangelism, kids club, youth group, women's pampering event, men's breakfast. Please continue to pray for physical healing for team members. 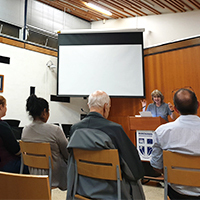 Give thanks for the opportunity we had to hear about uni ministry on campus at University of Auckland and Auckland University of Technology. Pray For TSCF workers, who are very stretched, and pray that God would raise up some male staff workers to come on board (currently there are none). Please pray for Sam J leading a devotion on Friday with the women’s group. Please pray for Crystal giving her testimony on Friday at the women’s ESL bible study. Please pray for Sam giving a talk at the youth group on Friday night. Please pray for Jack and Joel who are preaching this Sunday at Papakura Baptist and Howick Baptist. Please pray for our health as a number of us have been getting sick throughout the week. 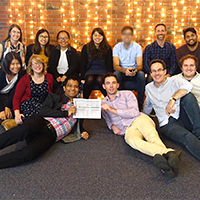 On Sunday, the Western Sydney team split amongst five church services in the morning and four in the evening. 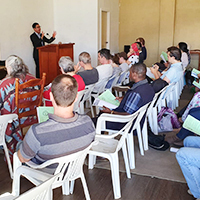 This was to gain an understanding of the many ways churches in the area are seeking to reach people from the community. 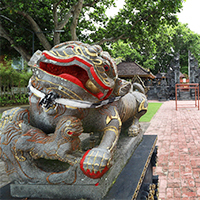 Since then we have been spending time getting to know the area and the culture. 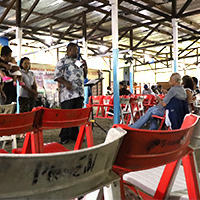 A number of us have joined the churches for mid-week outreach activities, like guitar lessons, sewing groups, playgroups and ESL classes. 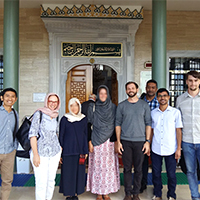 Yesterday we toured a mosque and heard about Islamic beliefs. 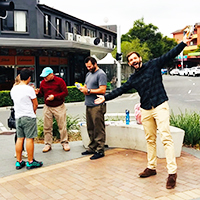 In the afternoon, some of us spent time on the streets and were able to chat with people. Praise the Lord that he opened the door for us to share what we believe. Two of the guys we met were willing to share their stories and at the same time listen to ours. We have also eaten so many delicious delicacies! Tomorrow we are hoping to hit the streets to chat to some more locals. 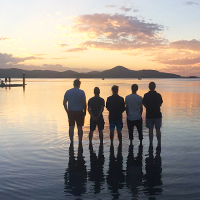 As the team visits many different places and activities in pairs or small groups, pray that the team remains unified and can communicate all that they are learning to each other. Pray as we meet people on the streets and knock on doors in the next few days, asking God for boldness, gentleness, humility and wisdom as we speak. 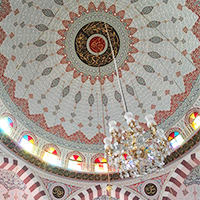 Pray for the local churches, as they seek to engage with the people who live in the area long-term. Pray for the locals we met, M, A and H, that God would continue working in their hearts. Praise God for Jesus and the assurance of forgiveness and salvation we have through Him. 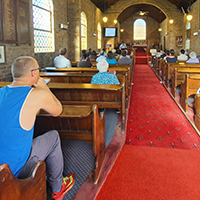 On Sunday we attended four services in Lithgow, Wallerawang and Portland. Praise God for the faithful preaching from Ryan and Nam, and kids' talk from Bec and Janice. 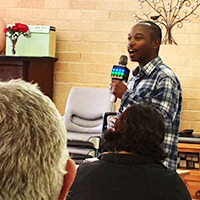 Between Monday and Wednesday we have been involved in various activities that make up weekly ministry including: aged care visits, door-knocking to share about Easter events, scripture classes and dinner visitations. 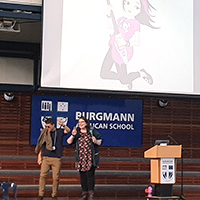 On Wednesday we were also given the opportunity to run an assembly about Easter at Lithgow High School, where Lachlan shared about the truth of the resurrection. Praise God for the responsiveness from many of the students at Lithgow High School to the gospel message. Thank God for many of the fruitful conversations that have been had through doorknocking and dinner visitations. Praise God for the mutual encouragement through aged care visits and dinner visitations. Please pray that the evangelistic events leading up to Easter would be well-attended, and that we would continue to be a faithful witness. These events include a ‘Stay Strong – Body and Spirit’ seminar on Wednesday evening, a men’s ‘Grill and Chill’ breakfast on Saturday morning, and a women’s luncheon on Friday. On arrival we ran two church services, including Sunday school. Many people on the team had opportunities to get out of their comfort zone and try something new. 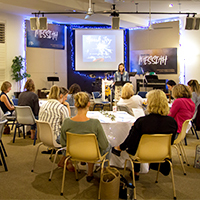 Tuesday evening was the women's event 'Spark Joy', looking at 1 Peter and the inexpressible and glorious joy found in Christ. In between all of these events we've had the opportunity to join in Bible studies and scripture classes, get to know the congregation, and plan for and create resources for the church to use. Give thanks for the events we've run so far, the ways we've been able to serve and the things we've been able to learn through our service. Pray for the evangelistic 'Men, Meat, Jesus' event on Saturday evening, that people would invite their friends and neighbours and be challenged by the message. Pray as we work with Hamish throughout the week to develop some resources that the church can use for various ministries. On Monday we joined a playgroup filled with lots of kids dancing and singing, scrumptious food and an Easter Egg hunt. 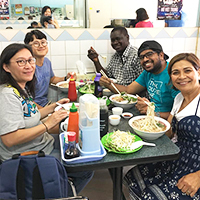 We also hit the streets of Cabramatta and enjoyed some Pho and avocado smoothies (yum!). Praise God for the conversations we've had with the mums (more than half of the mums were unbelievers). Please pray that God would have mercy on the mums and kids, and that the church will continue to be a good witness to the local community. Please pray that God would give us wisdom and humble hearts as we engage with a multicultural area. Give thanks for the Women’s Easter Event on Monday. Please pray for the non-believers who came to the event. Pray they would come to know God as their father. Give thanks for the lovely ladies at Bible study on Tuesday morning and for Veronica sharing her testimony which resonated with other women. 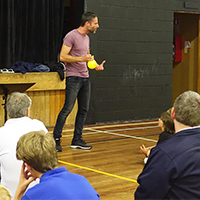 Give thanks for Chris sharing his testimony at Boys Brigade on Tuesday evening. 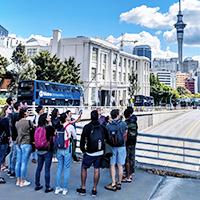 Please pray for the team heading to Auckland Uni on Wednesday to visit the Christian groups on campus. 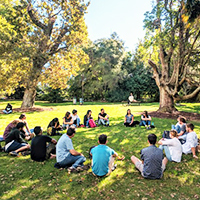 Pray that the team will get a good understanding of the needs of uni ministries in New Zealand. Please pray for the team’s health. On Sunday we attended two services; English (morning) and Laos (late afternoon). 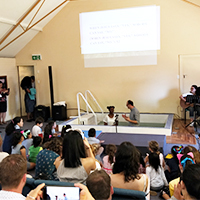 In the English service, we witnessed the baptism of a young lady from Mozambique. In the Laos service, we enjoyed the praise and worship in Laos style and their generous hospitality. 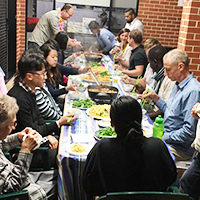 Praise for the warm welcome of Cabramatta Baptist. Praise that the sermons and testimonies shared so far have been relevant and encouraging for the congregation. Praise for our team unity. Ask God to grow the church in faith and raise up more godly, mature Christian leaders. Pray for healing as some of us in the team are still recovering from illnesses. Here we are having our team lunch - squeezed in between six school Easter presentations! Please pray that God would powerfully use our young adults mission night and more school visits later in the week. The week kicked off strongly, with the team preaching at various Sunday services, sharing their testimonies, running kids church and doing some insightful pastoral visits today. 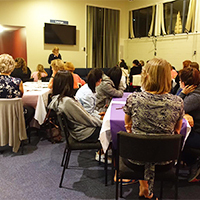 Jenny Salt ran a session on relational skills, where we had more opportunities to chat and get to know people at Gungahlin Anglican better. • Please pray for wisdom and faithfulness for speakers at the Friday school assembly service and the men's and women's evangelistic events on Saturday. • Praise God for unity within the team and pray for continued unity as we serve together. • Pray for continued energy and health for the team as the week progresses. We have arrived at our first week's destination, after many hours trying to catch some sleep in various locations during our flight and layover time! Sunday was spent at church (joining in with the service, singing and dancing, and even a baby dedication), and then lunch with ex-pats plus some time to listen to stories and ask questions. In the afternoon we explored the town - it was amazing how despite the recent floods and mudslides, daily life seems to have settled into its rhythm already. We also shopped for some interesting breakfast foods. This week has been/will be varied with crochet classes, med clinics, refugees, schools, street chats, etc. Praise God with us for such a warm welcome. Please pray for us to be brave and move outside our comfort zone whilst being sensitive to cultural, personal, and spiritual needs. Give thanks for a great start to mission. 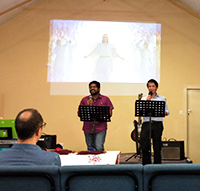 Nathan preached at Papakura Baptist Church and Sam preached at Howick Baptist Church. Give thanks for the welcoming congregation and also generous billets who have opened their homes to us. Please pray for Kim on Monday evening as she delivers an evangelistic talk at a women’s event. Please pray for our energy levels as we meet lots of new people and share our lives with them. Please pray for relationships to be formed with members at several church events coming up. Please pray that we’ll be a blessing to the churches, and they to us, and that we’ll be a blessing to communities further afield. 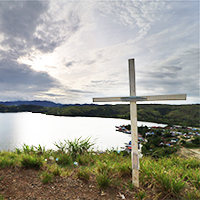 Pray for safe travel around the area and that our lives would be a testimony to the gospel of Christ, and that we’ll have opportunities to share our faith with locals – and for good results if we do. 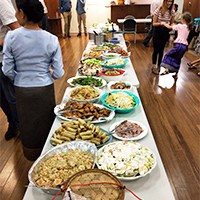 Please pray for our preachers at Sunday Services – Ben, Matt, Jacob and Tony (Jacob and Tony at the Lao Church). Pray for speakers at women’s and men’s events: Jemma and Pierre. 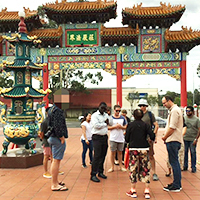 Pray for outreach through playgroup, TESOL groups and walk-up evangelism in Cabramatta. Pray for engagement at Kids’ Club, Youth Group, home groups and Sunday School, and for enabling of preparations in the midst of life and study. Pray for good relationships with the team and church. Pray for Tim and Liz Donald in their ongoing ministry in the church and area. 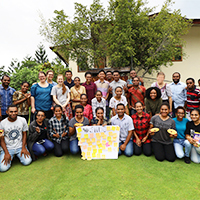 Give thanks for a team with abundant and diverse gifts, and pray that we’ll use our gifts generously and enthusiastically to bless expat workers and Papuans. Thank God for the privilege of serving gospel workers on the field, by running their annual spiritual retreat. Ask God to refresh and encourage them. Pray for safety: 8 or 10 flights, plus a bit of seafaring and road travel. Ask God to show and excite students about where and how he might use them in the future. Pray for open doors to share the gospel and an expectation for God to be at work, calling people to himself. Pray for gentleness and boldness in talking about Jesus and enthusiasm for spontaneous opportunities. Pray for humble, teachable hearts and good care for team members. Pray for good health – for all team members to be able to join in. 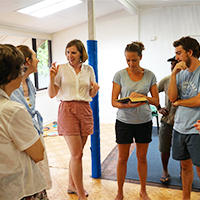 Pray for excellent relationships between team members and the Lismore church. Pray that God would save souls through the many SRE gospel opportunities. Pray that God would be glorified through our whole week, and that we would deliberately and consistently rely upon him. 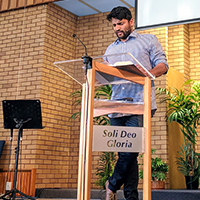 Pray that we’d be an encouragement to the church staff (Richard Cutforth, and SMBC graduates, Sam and Anna, and Nathan at Papakura) and the whole congregation. 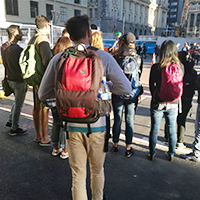 Pray for students who will have opportunities for speaking in the Sunday services, women’s and men’s events, youth and growth groups in the church – that they’d speak faithfully, clearly, and engagingly and that there would be receptive hearts. 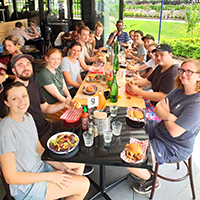 Pray for the testimonies at the Friday ESL groups with many non-Christians present; and for the Wednesday visit to Auckland University – that it would be an encouraging time for uni ministries. Pray that we’ work well together as a team in joyfully serving alongside the people in the church. 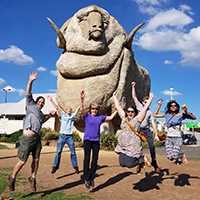 Pray for cultural sensitivity as our diverse team seeks to communicate the gospel in a rural, white Australian setting. Pray for us to grasp the wonder of what we have in Christ, and for all our interactions to flow naturally out of this. Pray for us, through God’s help, to energise church members to reach out to unbelievers in the community. Pray for our many team members giving gospel talks and sermons. Thank God for the opportunities we’ve had to share testimonies and get to know each other better through stories of God’s work in our lives. Pray for wisdom as the team prepares sermons, kids’ programs, testimonies and youth talks. Pray we would share God’s word clearly and faithfully to encourage others to love God’s word. Pray for Jenny as she runs training sessions for lay preachers and teaches a seminar on pastoral care. Pray for evangelistic opportunities through the week, including men’s and women’s events. Pray we would be alert to opportunities to have thought-provoking conversations about Jesus at these events and in the broader community. Pray for Easter services on Sunday and that, in sharing our lives and stories, the certain hope we have in Jesus would be made known. Pray for safe travel and for opportunities for rest during mission week. Pray for good health and safe travel, that visas would be approved without any issues. Pray that our team will be prayerful before, during and after the trip as we reflect on what our Father reveals to us. Pray for fruitful conversations as we meet with our brothers and sisters. Pray for the team as we lead SRE assemblies at a number of schools in and around Narrabri throughout the week. 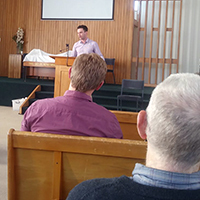 Pray for those delivering sermons and talks at evangelistic events – that they would speak boldly, faithfully and winsomely. 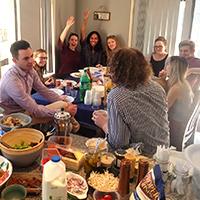 Give thanks for those in Narrabri who are opening their homes and hosting the team, often at considerable cost in this drought-affected area. 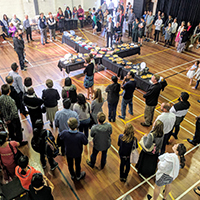 Pray for good conversations with the leadership at Coast EC; opportunities at the various events throughout the week; and that the second school assembly will be approved. 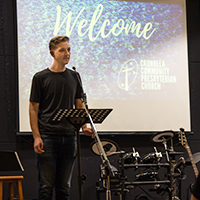 Pray for Cronulla Presbyterian Church – having experienced several transitions of pastors over the last few years: to grieve the losses well, in order to transition towards new things that God seeks to do in and through the church. Pray for all the students who will be preaching and giving talks – especially those doing so for the first time. Pray for clarity and insight into his Word and faithful proclamation. Pray for meaningful conversations and encounters with all whom we will meet – that far beyond merely running activities, we will nourish and cure souls and turn people’s eyes towards Jesus.